ownCloud turns 5 this year, marking half a decade of rapid adoption, thankful users and one of the most active and dedicated open source communities in the world. We are very proud of this milestone and want to thank all our loyal users and contributors for their support! This would not have been possible without you. To celebrate the 5th anniversary of ownCloud, we have asked the community to send us their thoughts and wishes for ownCloud, and some of these are collected on our 5 years of ownCloud page. ownCloud has indeed come far since its humble beginnings in 2010. The first production-ready versions came out that year, with ownCloud, Inc. founded in 2011, the first Mobile apps coming in 2012 and 2013 introducing Collaborative editing of ODF office files. Last year brought ownCloud 7 with Server-to-Server Sharing and the largest known ownCloud deployment for over 500,000 students. Find more milestones in the Press Release and a full view on ownCloud History on our history page. 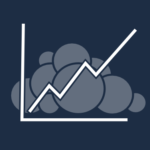 Today, ownCloud has had over 57,000 commits made by more than 550 contributors while beyond code, over 7,000 people have participated in sending in bug reports, discussing feature requests or helping out with translations to over 70 different languages. ownCloud is also a powerful platform on which to build apps. On average, 7 to 10 apps are updated or released a week. These apps range from video streaming to calendars to a Google Reader replacement. And these apps get huge numbers of downloads – the top-ten apps have from 11,000 to almost 30,000 downloads per app. The upcoming ownCloud 8 release will introduce many improvements for app developers and a much stronger focus on the app store; and of course bring user interface refinements and many new and improved features. We published articles with what’s new for users, system administrators and developers. 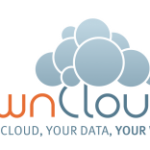 Stay tuned for more news from ownCloud!